A man holding one of the most important and powerful jobs for keeping the U.S. banking system safe from another epic crash like that of 1929 and 2008 has tongues wagging over the bizarre speech he delivered at the Clearing House Annual Conference last Wednesday in New York. 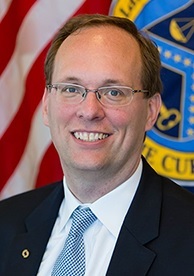 Keith Noreika is the acting head of the Office of the Comptroller of the Currency (OCC), the Federal agency responsible for supervising national banks and inspecting them for safety and soundness. Covington & Burling has a curious history in landing top dogs at the OCC to oversee bank deregulation. John Dugan, a former bank lobbyist, headed the OCC from 2005 to 2010 – the period leading up to and including the subprime mortgage meltdown, fraudulent foreclosures, robo-signing, the rigged peddling of mortgage-backed securitizations and the largest taxpayer bailout of banks in U.S. history. Before Dugan, another Covington & Burling partner, Eugene Ludwig, was appointed by President Bill Clinton to head the OCC from 1993 to 1998. That was the period leading up to the repeal of the Glass-Steagall Act in 1999. As a result of that repeal, commercial banks were allowed to merge with Wall Street investment banks, creating today’s era of “too-big-to-fail” banking behemoths. Making headlines recently is how Harvey Weinstein’s lawyers assisted him in running a protection racket to conceal his misdeeds over decades. Much more transparency is likewise needed to ascertain the role of Big Law in corrupting the U.S. banking system and then failing to prosecute the misdeeds.